It helps to share your images and videos with us as promptly as you can. We will be working throughout the day to edit and share footage of the activities at DSEI. We will produce a video summary every day of that day’s actions. The more footage we have to work with, the better a job we can do, and the more people will share our videos and pictures, causing more people to hear about DSEI. The news media in particular moves very quickly and needs fresh, new imagery for stories to have a great impact. So if at all possible, please send us your photos and videos while they’re hot! By sending us files at images(at)stopthearmsfair*org*uk, you agree we can share and edit your files. We will not sell your files. We will not use your files for purposes other than stopping arms fairs. We may use your files in larger video compilations, collages, slideshows, or blogs. We may share your files with the news media. Upload your file(s) somewhere that they can be shared with us. 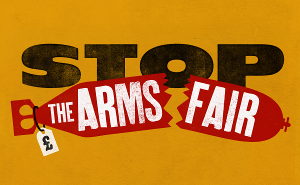 Share your file(s) with us at images(at)stopthearmsfair*org*uk. The rest of this page is a guide covering how to do those steps using three common file-sharing services: WeTransfer, Google Drive and Dropbox. These services are not required to send files to us. We are just mentioning them because they are commonly used and free. You may use any method you like. The guides below are not intended to be comprehensive, and they are oriented towards people using desktop and laptop computers. Mobile applications have similar but different interfaces and processes. If you tried the steps below and you’re stuck, please contact us at images(at)stopthearmsfair*org*uk and we’ll try to advise. Don’t follow the guides below. Find an activist security guide instead. You can find a lot of them by searching. There are lots of good ones; follow their advice instead. 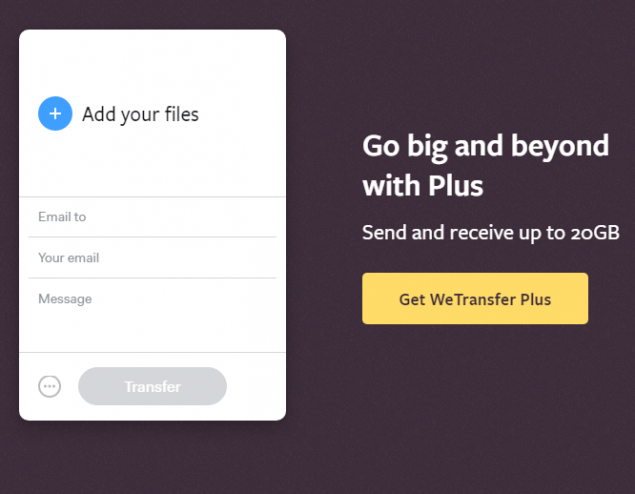 WeTransfer is a hassle-free option for sending less than 2GB of files at a time. Files you send with WeTransfer are deleted from WeTransfer after one week. This means the recipient must download your files before the time period expires. Otherwise, they missed their chance! The time limit is fine for DSEI, because we will retrieve your files within one day. A downside of WeTransfer is that (at the time of writing) the service tends to go offline occasionally. So if you plan on using WeTransfer, you may want to have a backup service in mind. Google Drive and Dropbox are commonly used alternatives. WeTransfer is here: https://wetransfer.com/. Click the button to select the free version of WeTransfer, if necessary. The WeTransfer screen looks like the one below. Use the blue plus sign to add your files. Put your email address in the Your email box. (Optional) Write us a brief message to tell us what you’re sending. Click Transfer. Wait for the upload to complete, and you’re done. Google Drive is fairly straightforward to use if you have a Google account. It has a much larger file size capacity than WeTransfer, making it a good free option for sending videos. In order to use Google Drive, a free Google account is required. If you already have a Google account, you should skip to Uploading files to Google Drive. Before filling in anything, first, you may wish to click the ‘I prefer to use my current email address’ option. It should be in blue letters beneath the Username field. This will cause the page to reload. The form requires a first and last name. Feel free to lie*. The form requires an email address. Enter the email address you want to use for this task. The form requires a birthday. Feel free to lie*. If you lie and you’re over age 18, then be sure to use an age over 18. Gender is required, but there is a Rather Not Say option. Obviously also feel free to lie. Mobile phone number is not required. For Location, use United Kingdom to avoid problems. *If you lie, we suggest either using information you can easily remember, or making note of your lies. For example, you could take a screenshot. This way if Google tries to verify the account later, you will be able to answer their questions. After you fill in the form successfully, a Privacy and Terms screen will appear. Read it or don’t. Then press I Agree to continue. Next, you will receive an email at the email address you gave to Google. Click the first link in Google’s message to verify your email address. You should get a success message in the browser once you do. Tip: You can be logged in to multiple Google accounts at the same time. This is useful if you have a separate Google account for work or other purposes. Just use one Google account in one browser (such as Chrome or Safari) and your other Google account in another browser (such as Firefox). Click the blue New button near the upper left of the screen. 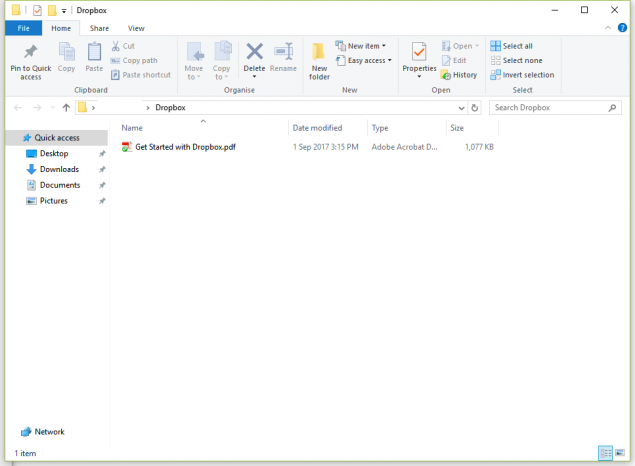 Click File Upload from the dropdown menu that appears. Select your file in the window that appears. Wait for the ‘Uploading’ progress bar to finish. Now you should see your file in the list on the Google Drive screen. On the Google Drive screen, highlight your uploaded file. On a desktop computer, right-click the uploaded file. 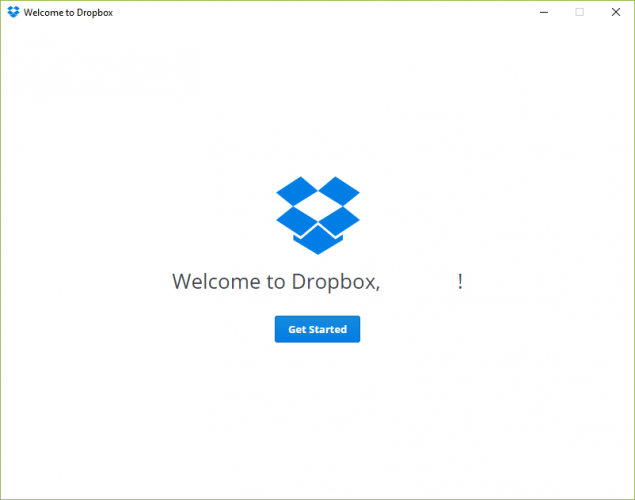 Dropbox is a commonly used service to transfer files. It takes a bit longer to set up than Google Drive. It offers another free 2GB of space to transfer files, making it a good option for sharing images. It is especially good if the WeTransfer service is down, or your Google Drive is out of space. Go to Dropbox here: https://www.dropbox.com/. You can use a Google account. In this case, use the Creating a Google account instructions above if necessary. Then come back to Dropbox and click Sign up free with Google. Or, you can provide a full name, email address, and password. The email address you provide should be valid, because Dropbox will verify it. Tick the box to agree to Dropbox Terms. Then click Sign up for free. The screen will prompt you to click the installer to finish up. The installer is a downloaded file. It should appear near the bottom of the browser window, if you are using Chrome or Firefox. If you don’t see the Dropbox download: it will be in your downloaded files. In Chrome on Windows, you can press Ctrl+J to see something like the screen below. If you’re using another browser, refer to its documentation to find downloaded files. 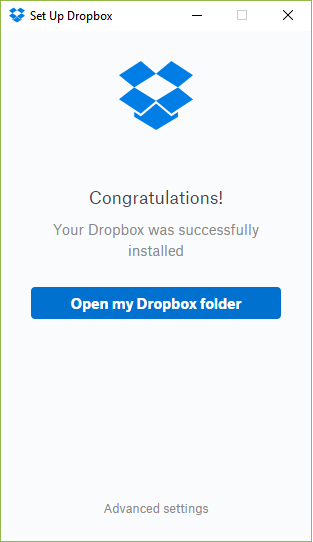 Run the Dropbox installer file you just downloaded. In Chrome you can do this by clicking on the file once. Then agree to the prompts as necessary. After some waiting, this popup window should appear. 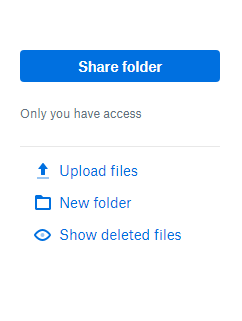 Click the Open my Dropbox folder button. Now the unnecessary ‘welcome’ screen below will appear. Click Get Started, and continue through the prompts. Put files you want to share with us in there. Tip: You can organise your files using subfolders. This will be useful for sharing later. After you put your first file in the folder, a screen like the one below should appear in your browser. Click Continue and then Okay, got it. Hooray, the initial Dropbox setup is over! Now you can start sharing some files! You may need to verify your email address before you can share files. This will happen if you have not logged in to Dropbox for a long time, or if you just created a new account. If this happens, a popup window will appear. Check that your email address displayed in it is correct. Once you are sure of that, click Send email. Then follow the instructions in the email you receive. Tip: The Dropbox verification email may come to your spam folder. Mine did. If you don’t see the email message, look in there. Your browser should now redirect to your Dropbox directory online. Click the blue Share button.